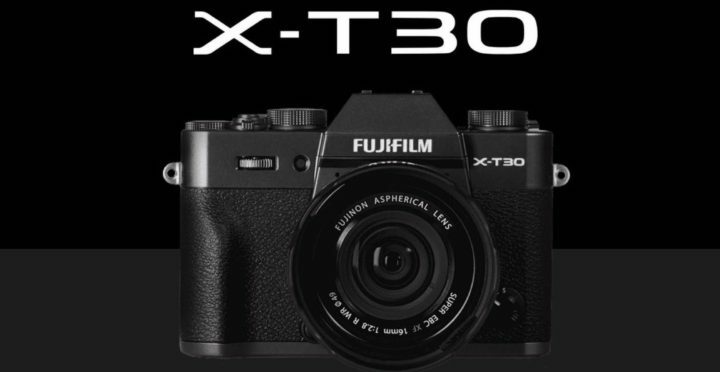 Fujifilm has just officially announced the new Fujifilm X-T30. It is a versatile mirrorless camera distinguished by advanced stills and video recording along with sleek and intuitive handling characteristics. This new mirrorless camera costs $899, available for Pre-Order at B&H/ Adorama. The new X-T30 packs even greater image quality with the fourth generation X-Trans CMOS 4 Sensor. This 26.1 megapixel sensor has one of the highest resolutions among APS-C sensors, allowing the photographer plenty of room to crop or to capture fantastic detail for printing and sharing. The X-T30’s ISO sensitivity has been adjusted to allow ISO 160 in the normal range (it was in extended ISO earlier), making it great for shooting in bright light with more open apertures. In addition, the new X-Processor 4 Quad Core-CPU enables super fast face detection auto focus, doubling the speed compared to the X-T20 as well as allowing eye detection to work in AF-C mode, great for moving portraits. On top of that, the low light limit of phase detection has been expanded from 0.5EV to -3EV which allows more accurate AF in low light. While the X-T30 is an amazing stills camera, the video recording capabilities of this beauty have been cranked up to the next level. The X-T30 records (UHD) 4k at 30fps and 1080p at 120fps allowing for super slow motion effects. For filmmakers requiring higher color fidelity, the X-T30 records 10-bit, 4:2:2 color through the HDMI port. One of Fuji’s most popular features is its amazing color reproduction and “Film Simulation” modes, and being able to use these modes while shooting video is a huge boon. The X-T30 incorporates Monochrome adjustments for the popular ACROS (and monochrome) styles as well as a “Color Chrome” effect that helps when photographing highly saturated colors. This mode produces deep colors and gradation — something any product photographer can attest is hard to do with certain subjects. Beyond the image quality and powerful features like the auto focus, the X-T30 boasts some physical aspects that will make it a joy to use. The Focus Lever which enables users to quickly and easily shift to a focus point and like all of Fujifilm’s offerings, an ergonomic body design. The X-T30 also incorporates a convenient two-way tilting and intuitive touchscreen panel. Weighing in at 13.51 ounces, the X-T30 is light enough to carry anywhere and powerful enough to capture photos and video wherever you take it. Fujifilm X-T3 Announced, Priced $1,499!